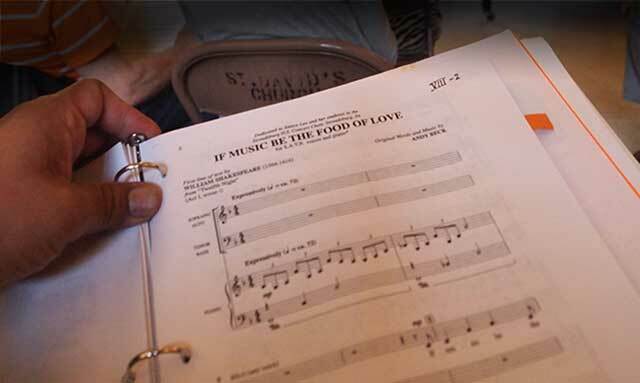 The Portland Peace Choir is a Community Choir in Portland, OR. WELCOME ~ In 2009 some singers who were interested in promoting peace through music decided to form a choir with a mission to share their light by singing songs of peace. These songs would bond both the choir and those that heard them in the spirit of peace. The choir would be open to everyone, only a commitment to sing and memorize new songs. Sheet music would be provided along with an online “green room” for listening and downloading songs in each of the four part harmonies. We have now enjoyed nearly ten years of singing together and open our hearts to you to join us. Browse through our website and please do come to a concert or a rehearsal. Music and peace are such a special part of our lives that we need to honor them. This is your chance. Please take it. *** Please note, we NOW HAVE 501(c)3 STATUS, so your contributions will be tax deductible. We do greatly appreciate your generosity and are grateful for each and every donation, no matter the size. You may donate online via Pay Pal which accepts all major credit cards. 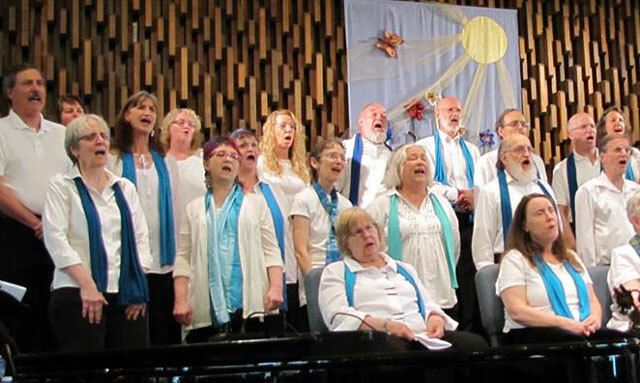 Singing in a Peace Choir is about much more than making music. It’s a radical act of optimism and knowing that what we do makes a difference. It builds community. We who sing in the Portland Peace Choir believe in what we are singing. We see our music as a path to creating more peace, not only in our own lives, but for our families, our neighbors, our communities and the world. We sing to lessen our own isolation. We sing to feel connection, to belong and to feel joy. We sing to learn new languages, to honor sacred traditions, to heal our wounds. We sing to promote peace. All experience and skill levels are welcome in our community choir. Basses and tenors are especially needed! The Portland Peace Choir does not have any religious or political affiliations. We rehearse Wednesday evenings from 7-9pm during the fall and spring semester, at the Mt. Hood Lobby at the Courtyard at Mt. Tabor at 6125 SE Division St. The door is open at 6:30 for check-in and socializing. First Rehearsal FREE! Come sing with us. 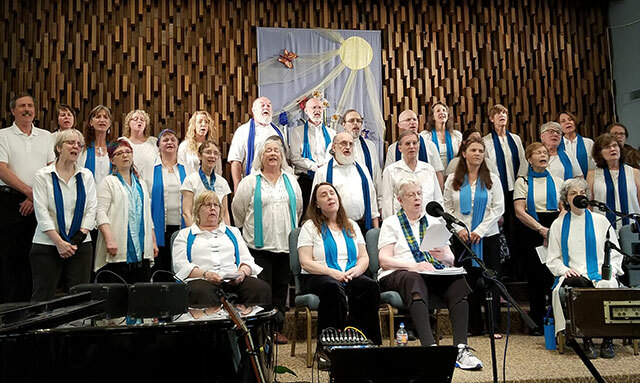 As we enter our 11th season, the Portland Peace Choir seeks an energetic, organized, and creative Music Director to lead the choir starting September 2019. Interested in joining our choir? Please do come and check it out. Your first rehearsal is free. Doors open at 6:30pm. We rehearse Wednesday evenings from 7-9pm. How to subscribe? Get on the PPC email list to receive the monthly publication. Come to one of our practices and sign up at the front door.